A report commissioned by the Government claims that the negative effects can be mitigated but green groups are concerned. Under Food Harvest 2020, milk production is slated to increase by 50 per cent, while the value of beef output should grow by 20 per cent. THE GOVERNMENT’S PLAN to massively increase agricultural output will harm drinking water quality, air quality and biodiversity, as well as increasing the country’s greenhouse gas emissions, a new report says. But the negative environmental effects of the ‘Food Harvest 2020′ plan will be slight and can be mitigated, according to government-commissioned analysis. Increased use of fertilisers, as well as expansion of farm areas into habitats are listed among the likely causes of environmental damage. Food Harvest 2020 is now in its third year. 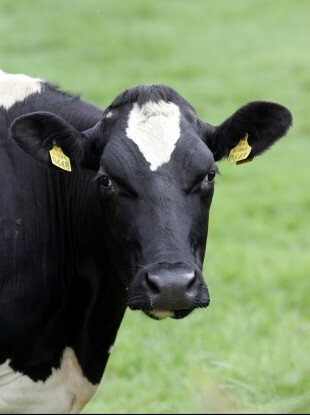 Green groups say they have “serious doubts” about the credibility of the report, which they claim is “based on a fantasy world in which all farmers use the best available technology and obey all the rules regarding environmental protection”. The study was undertaken after the European Commission warned the government it must assess the environmental risks of its flagship plan for the farming sector, backing NGOs’ demands. EU officials will examine the assessment, a commission spokesman said. Under Food Harvest 2020, the government hopes to increase the value of primary agricultural, fisheries and forestry output by 33 per cent by 2020 compared to the 2007-09 levels, to a total of €1.5bn. Milk production is slated to increase by 50 per cent, while the value of beef output should grow by 20 per cent. “To look at this kind of growth and say it will have no impact or a slight one is unfathomable,” said Cillian Lohan of the Irish Natural Forestry Foundation, on behalf of the Environmental Pillar coalition. There’s no point in having three, four, five years of growth if you end up with soil degradation. There is no point replacing a property bubble with a farming bubble and farmers ultimately suffering. But the study noted that Irish soils are generally in a good state and concludes that Food Harvest 2020 would have no affect on soil quality. The report’s author, agricultural consultant Philip Farrelly, declined to comment on the criticism or on the report’s findings. His company will also be responsible for assessing the responses to a public consultation on the report, which is open until 11 November. Increasing greenhouse gas emissions from the agriculture sector is one of the main reasons Ireland will miss its EU climate targets for 2020, the Environmental Protection Agency has warned. Bord Bia is hosting an international conference on sustainable food production in Dublin this week with speakers from the World Bank, Tesco, Pepsico and McDonald’s, as well as the Minister for Agriculture. As part of Food Harvest 2020, Bord Bia launched the ‘Origin Green’ sustainability programme, whereby participating food and drink companies must reduce the amount of waste they send to landfill, their emissions and their energy consumption. Email “Plan to increase Ireland's agricultural output could cause harm to environment”. Feedback on “Plan to increase Ireland's agricultural output could cause harm to environment”.